Blackboard Collaborate. Free online lectures covering a wide-range of topics related to education and technology, presented by thought leaders and innovators from around the world, delivered LIVE to your desktop. If this is your first time hearing about the series you can catch up by viewing the archived events or be a pioneer and join us for a live upcoming lecture! Anne Mirtschin. The guest presenter this week is Adrian Camm, who is an innovative, mutli-award winning teacher at both the national and state levels in Australia. Adrian won the coveted Outstanding Secondary Teacher for Victoria last year. In this session, Adrian will talk about some of the great things he has been doing since this award, his current role, Quantum Victoria and the international conferences that he has attended. As part of his new role, Adrian will share some of the new technologies that he is sharing with his new role eg augmented reality and the Little Big Planet 2. No matter what subject or year level, or area of education you are interested in, there will be something for you. Mary Henton. Explore the iPad and some great apps for the middle school classroom. We’ll focus on apps that lend themselves to STEM as well as apps to facilitate integration across disciplines. Take a look at iPad’s possibilities for teaching and learning. If you’re already using iPad, bring your ideas along and share! Steve Hargadon. Steve Hargadon, David Bill, and special guests discuss the TED and TEDx ed programs in the context of education reform conversations--what role do these programs play in the larger conversation, who and what point of views are being featured, and are substantive education scholars ignored? Carol Cross. Join this "Live" discussion of P2PU "Psychology of Math Learning" class. Anne Mirtschin. Penny Bentley will be the guest presenter. Listen to one educators' journey into the successful uptake of technology - from where Penny Bentley started to today! Penny will share with us her digital journeys over the last 12 months from early beginnings to now, where she is establishing her one learning network. Where and how to start with technology, how do you get connected, how to find a learning network etc right through to today, where Penny has commenced a facebook page for her network, is actively involved online and keen to teach online. Follow Penny's e-footsteps with us and continue or commence your own. Wastewater Education. EPA WaterSense and WasteWater Education will present a free hour seminar to introduce home school, elementary and high school teachers to the curriculum materials available from USEPA to promote March 14-20, 2011 "Fix A Leak Week!" In 2009, EPA WaterSense's 2,100 partners collectively saved over 36 BILLION gallons of precious drinking water. Which translates into 4.9 billion Kwh of electricity saved! Which means over 1.75 million metric tons of carbon dioxide didn't go into our atmosphere! This presentation is applicable for anyone who teaches physical sciences, environmental or social studies and would like to inspire their students to action! Steve Hargadon. Join Steve Hargadon as he talks with Kate Fridkis, Monika Hardy, Lisa Nielsen, and Clark Aldrich for a panel discussion on "Unschooling". Kim Caise. Join Kim Caise, Lorna Costantini and Peggy George asthey explore technology tools to use with students in the classroom. Join us Thursday, February 24th, for a live and interactive FutureofEducation.com webinar with Michael Horn and Heather Staker from the Innosight Institute as they discuss their case study on the North Carolina School Connectivity Initiative, a public-private approach to bringing Internet access to K-12 public schools. The North Carolina School Connectivity Initiative: A public-private approach to improving school data networks. In 2006, Education Week gave North Carolina a “D” on its report card for Internet access. The problem was not a lack of world-class Internet resources. North Carolina had a flagship network, the North Carolina Research and Education Network (NCREN), which provided fiber-optic infrastructure to many of the state’s higher education institutions. But K–12 public schools lagged behind. Fifteen percent of districts relied on wireless or copper connections for their wide area networks (WANs), instead of faster, more reliable, fiber-optic connectivity. Almost all the districts negotiated their own contracts with third-party Internet service providers, which often led to high rates, excessive overage fees, and latency issues. Rural areas particularly struggled because their sparse populations and rocky terrain created a shortage of supply of Internet service providers. By November 2009, only 6.5 percent of the approximately 2,400 schools in the state did not have fiber connecting them to their district WANs. In addition, all 115 public school districts now were connected to NCREN to access content and administrative applications from the state. Furthermore, 41 percent of districts also were using NCREN to access the public Internet. 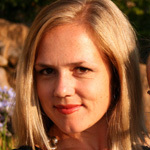 Heather Clayton Staker is a Senior Research Fellow and Project Manager for the Education Practice at Innosight Institute. 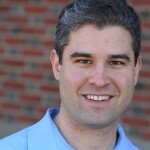 Staker has experience as a strategy consultant for McKinsey & Company, a sales manager for Procter & Gamble, and as the co-founder and CFO of Karaeiga, LLC, now Yoostar Entertainment. 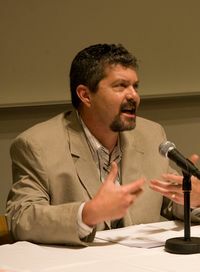 In addition, Staker served as a member of the California State Board of Education and a member of the Irvine Unified School District Board of Education. She was also an HBS Fellow at the Cambridge Incubator and a Koch Fellow at Citizens for a Sound Economy in Washington, D.C.
Join me today, February 11th, for a live and interactive FutureofEducation.com webinar with Wayne Mackintosh on designing an "Open Educational Resources" (OER) university and creating free learning for all students worldwide. The simple but powerful idea is that the world’s knowledge is a public good, and that the internet provides unique opportunities for everyone to share, use, and reuse knowledge. Location: In Elluminate. Log in at https://sas.elluminate.com/m.jnlp?password=M.D5176DFCA66A74E3F55867FA87018F&sid=2008350. The Elluminate room will be open up to 30 minutes before the event if you want to come in early. To make sure that your computer is configured for Elluminate, please visit http://www.elluminate.com/support. Recordings of the session will be posted within a day of the event at the event page. 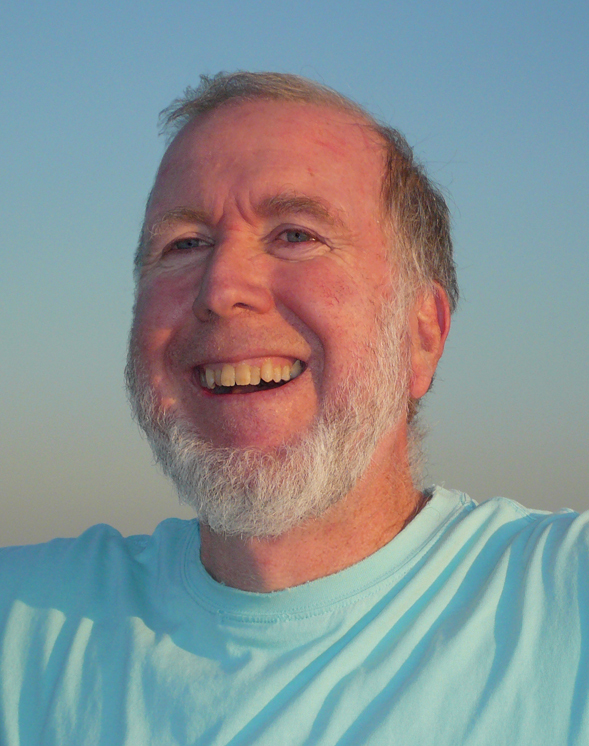 Dr. Wayne Mackintosh is a committed advocate and user of free software for education. He was the founding project leader of New Zealand's eLearning XHTML editor (eXe) project (www.exelearning.org) and founder of WikiEducator (www.WikiEducator.org) - an international community of educators collaborating on the development of free/libre teaching materials in support of all national curricula by 2015. 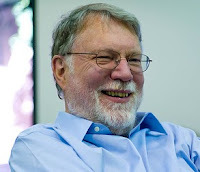 Currently, Wayne is the founding director of the International Centre for Open Education at Otago Polytechnic in New Zealand and serves as a member of the Board of Directors of the OER Foundation. Dr Mackintosh is an elected member and inaugural Chair of the WikiEdcuator Community Council. Wayne is a strategy innovator with a passion for making educational futures happen. Wayne is married with three children and lives close to Dunedin on the beautiful South Island of New Zealand. Qualifications Ph.D. University of Bath, United Kingdom. MEd, BEd, BCom and Higher Education Diploma (Postgraduate), University of Pretoria, South Africa.